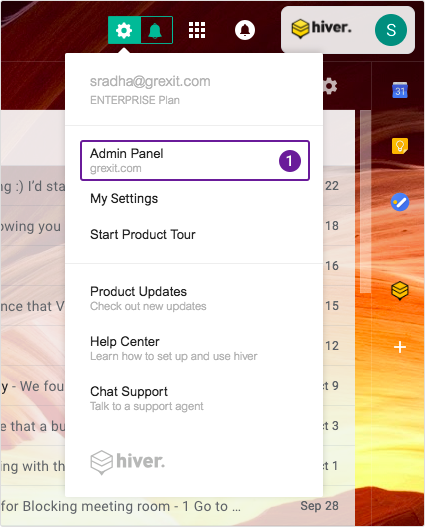 You can integrate Slack with Hiver and receive notifications on Slack for Hiver events such as when you are assigned an email, someone sends you a note or a new email comes in a certain Shared Mailbox. Hiver Admins will need to do a simple one time integration with Slack. Enable the option for Slack. Select the options for the Slack Integration. You can choose any or all of the options depending on your requirement. Here you can expand the dropdown and choose a Slack Channel where notifications will be sent whenever a new email is added to the Shared Mailbox. Only the public Slack channels will be visible in the dropdown. A link to open the email will also be sent to the Slack channel. Whenever an email is assigned to a user, she will get a personal notification in Slackbot. If this is selected, then whenever a note is addressed to anyone using @mentions, then a notification will be sent to her in Slackbot.